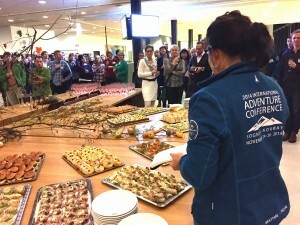 The 3rd annual International Adventure Conference came at just the right time for one village in Norway. The quiet and quaint fjord village Sogndal served as the ideal backdrop for some of the more difficult issues our industry must face, including the debate between mass tourism and lower impact sectors like adventure travel. Sogndal, a university village of roughly 5,000 inhabitants (7,000 while school’s in session), is at a fork in the road. The town is a kind of outdoor-pursuits nirvana. 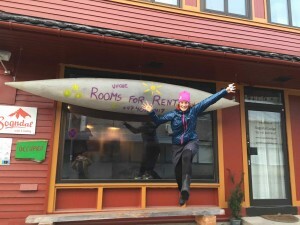 Because of its geography, residents and visitors alike can enjoy sea kayaking, running, mountain biking, fishing, rock climbing, and parapenting, in addition to a wide variety of winter sports. However, situated at the end of the narrow Sogndal Fjord, this adventure haven is facing tough questions: Do they build a large dock to allow mass cruise ships to enter? Do they aggressively develop more skiing gondolas? Build larger hotels? Apartments to house those employed in the tourism industry? Would doing so bring the same kind of controversy and protests from local citizens that Norway’s Flåm port (with nearly 200 cruise ships entering annually) has attracted? What alternatives do Sogndal locals have when considering tourism options? More than 300 delegates dove straight into topics directly related to Sogndal’s present challenges. 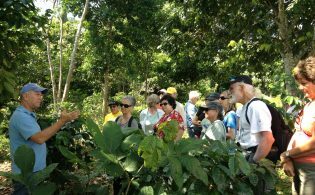 The ATTA advocated for the organizers to invite an assembly of delegates that included academics, educators and adventure tourism practitioners to bridge the divide between theory and practice. 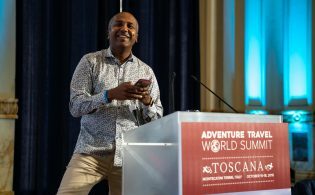 Beyond sustainability, the conference provided further compelling discussion of adventure tourism marketing, entrepreneurship and development, quality assurance and philosophic perspectives on outdoor learning. Presentations and abstracts from the conference are available for download. The third year of the International Adventure Conference in Norway showed considerable maturity in both breadth and depth of content. 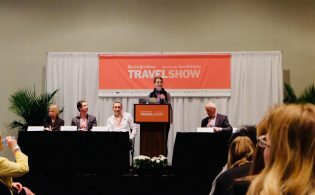 There was a tighter connection between academics and the two major practitioner groups – the Adventure Travel Trade Association and NCE Tourism/Fjord Norway. But there was also much wider thinking about the philosophical place of adventure in our sense of being, in memory, in culture and in our everyday lives. 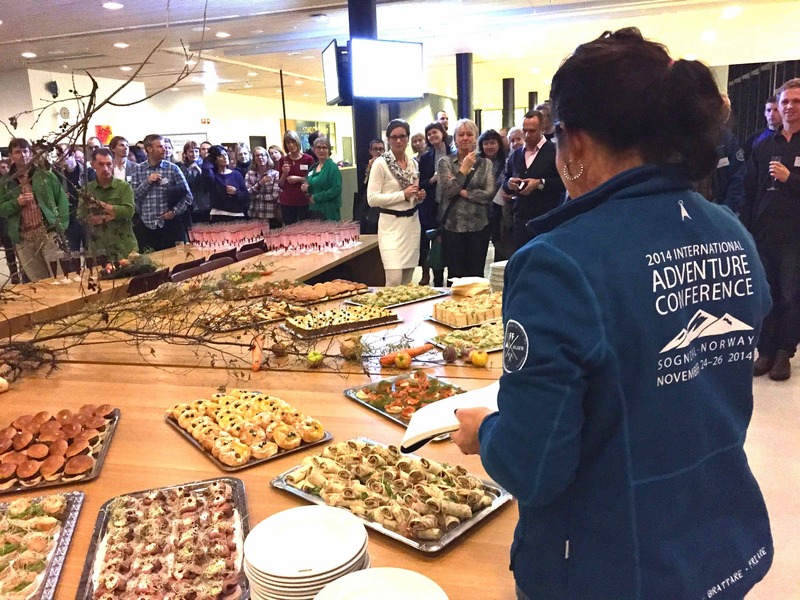 In addition to giving a keynote and leading a trends presentation, the ATTA partnered with NCE Tourism/Fjord Norway to host an AdventureConnect, catered with locally produced organic fare. More than 250 participants joined the lively forum to further explore radical changes in the future of leisure tourism. 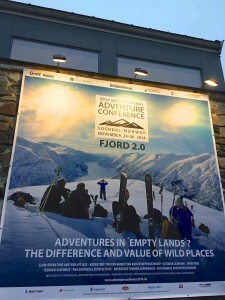 Delivered November 24 – 26, 2014, the conference in Sogndal was organized in a budding partnership between the Adventure Tourism Research Association (ATRA), the Centre for Recreation and Tourism Research, the Western Norway Research Institute, Sogn og Fjordane University College, the events company Bratt Moro, and Fjord Norway/NCE Tourism. 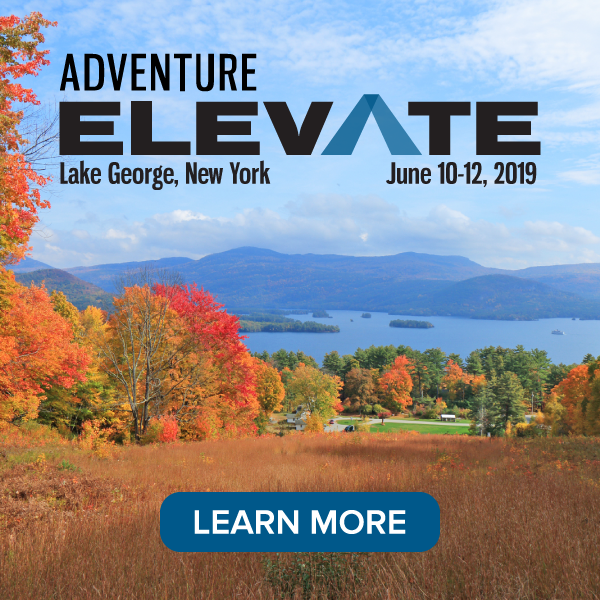 Each year, the partners aim to assemble an academic community around core areas of mutual interest, establish a broad network of leading academics worldwide, forge new writing partnerships, create a peer-reviewed academic journal on adventure tourism and organize this annual conference. The fourth annual International Adventure Conference is set for September 9 – 11, 2015 in Sheffield, Yorkshire in the U.K.
Editor’s Note: Peter Varley (Director of the Centre for Recreation and Tourism Research, School of Adventure Studies, West Highland College) also contributed to this article.